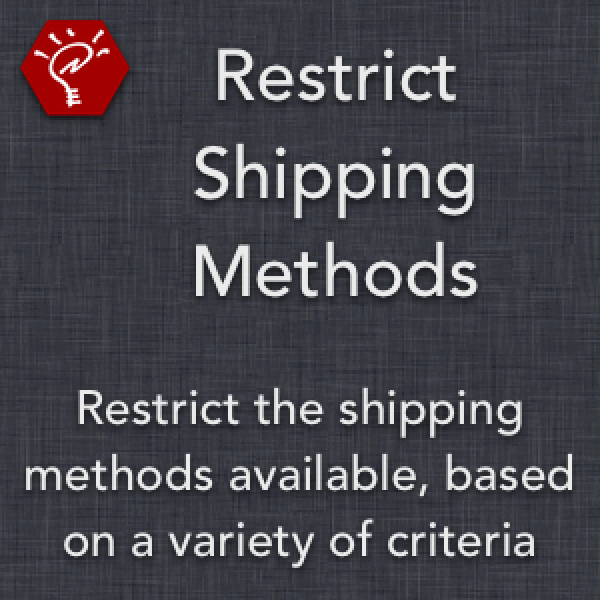 Restrict the shipping methods available to your customers! 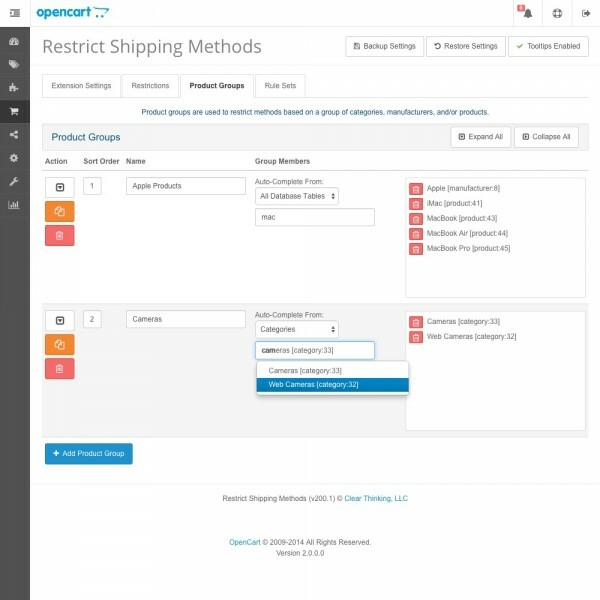 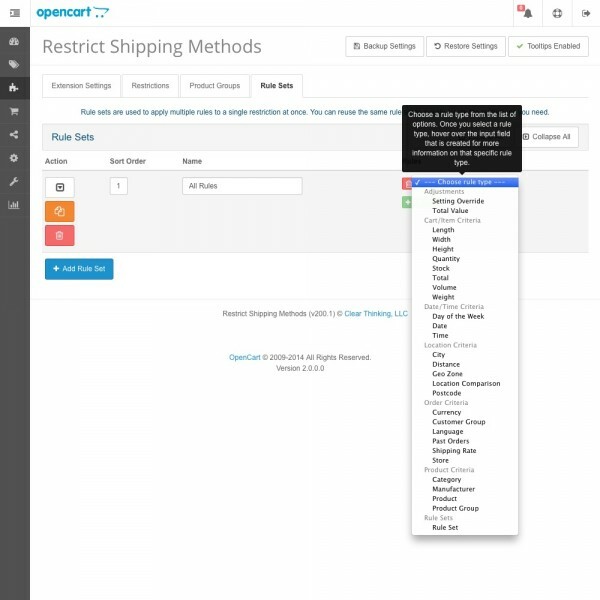 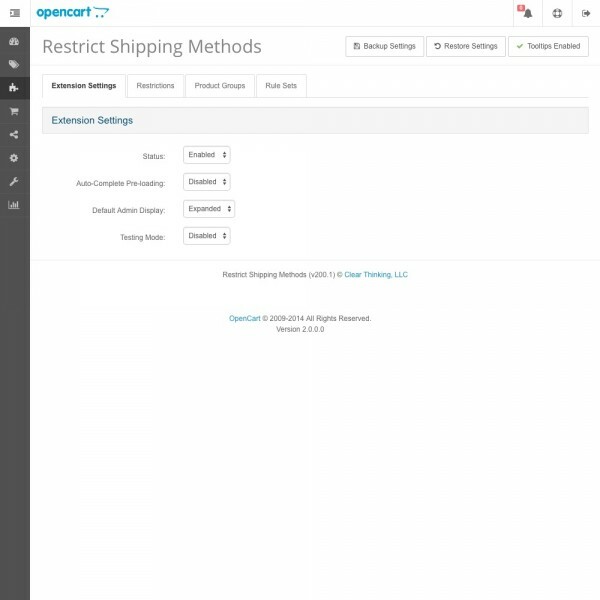 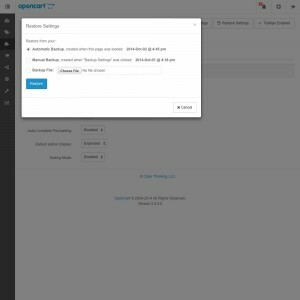 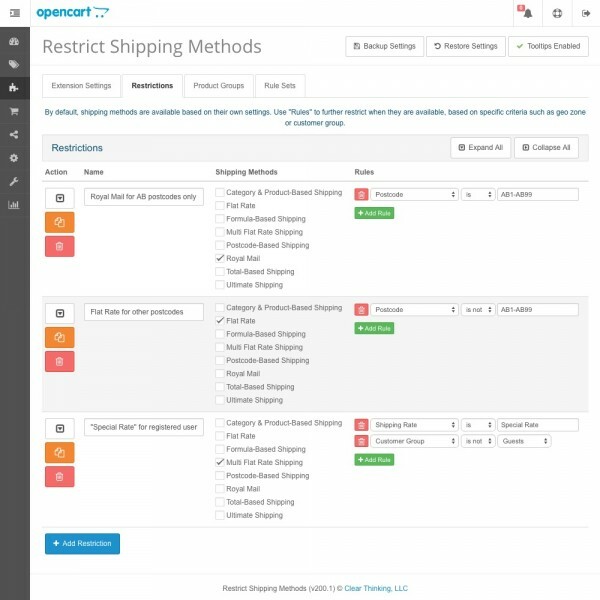 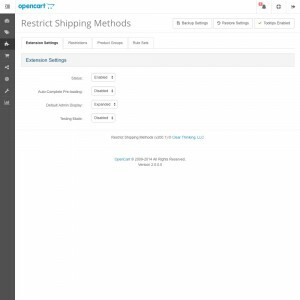 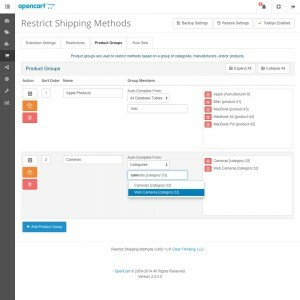 You can set each shipping method to be displayed based on a wide variety of criteria, as well as restrict individual rates within each method. Group products, categories, and manufacturers together however you want to create Product Groups. 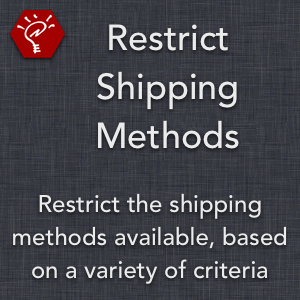 These groups can then be used to determine when shipping methods are enabled or disabled. 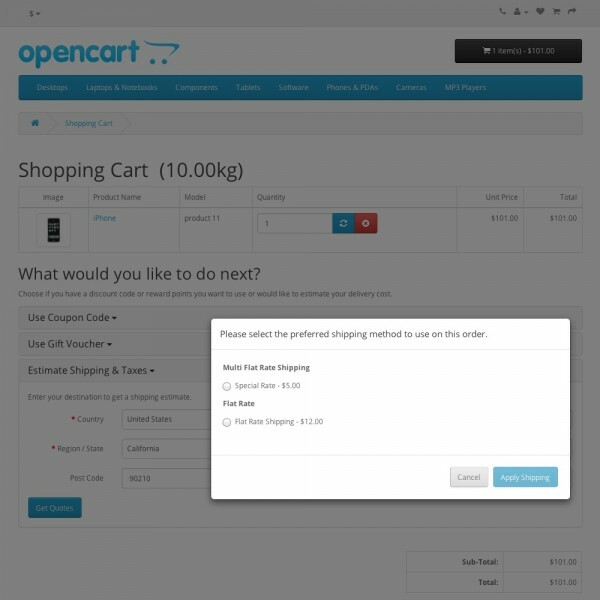 Use the included Testing Mode to determine why shipping methods are not appearing as expected on the front-end, helping to debug complex rule interactions.